Sympathy is extended to the Nolan Family, Church Road, Dunlavin on the death of Danny last week. Danny is mourned by his wife Winnie and son Danny, brother John, sisters Peg and Kathleen and many relatives and friends. Danny’s funeral took place in Dunlavin on Sunday May 18th 2014. Celebrant Rev Douglas Malone. May Danny rest in peace. The Maureen Dennis Memorial Set Dance Ceili will take place in the Imaal Hall on Friday June 20th at 9.30pm. All proceeds will go towards St. Brigids Hospice, The Curragh. Music by Syl and Liz. Voluntary Donation. Thanks to staff member Ciara O’Connor who raised €450 for the school following her run in the Limerick Marathon. We will put this together with funds donated by Dunlavin Arts Festival to buy sound equipment for the school. Funlavin 10K/5K Run and Family Walk will take place on Sunday June 29th at 11am. 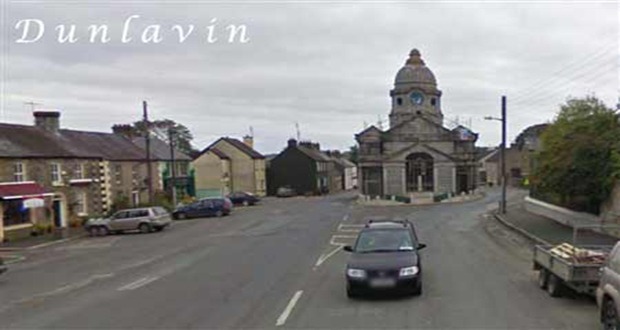 The route will be around Dunlavin and will be measured and timed. All proceeds will go towards Dunlavin Playground Project which has commenced work. Register online at www.runireland.com or pick up entry form in the local shops. The culture bus will travel to the World Flower Show in the RDS on Thursday June 19th at 10am.Local woman Ann Heatley will be competing in the event which has never taken place in Ireland. Another competitor well known to Dunlavin flower enthusiasts is Felicity Satchwell a sister of Rita Craigie. Enquiries for bus to 045 401334. A DVD of the recent banquet which took place in St Nichloas of Myra Church is now available. Cost €5. A nice keepsake to have. To book a copy contact Pauline in the parish office. 045/401871. A meeting to organise Festival 2014 will take place in Rathsallagh Golf Club on June 7th at 3pm. Anyone interested in helping out with this year’s festival is invited to attend. The 32nd festival will take place June 20th to 22nd inclusive. Next outing to Lisheen Springs on May 31st at 2pm. All welcome. Why not drop into the newly refurbished library in the Market House. Great selection of new books especially for children. Membership is free, free WI-Fi and internet access. The daily and local newspapers are available to read. Opening hours Tuesday 6.30pm-8.30pm, Wednesday 3pm-5pm, 6.30pm-8.30pm.Friday 10.30am-1pm and 3pm-5pm. Saturday 11am-1pm. Closed Saturdays of Bank Holiday weekends.